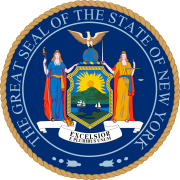 Elections for members of the New York City Council were held on November 7, 2017. Primary elections were held on September 12 for all 51 districts of the city council. Incumbent Democrat Rosie Mendez was term-limited and could not run for a third term. Incumbent Democrat Corey Johnson was unopposed in the Democratic primary. Incumbent Democrat Daniel Garodnick was term-limited and could not seek a third term. Incumbent Democrat and Council Speaker Melissa Mark-Viverito was term-limited and could not seek a 4th term. Incumbent Andrew Cohen was unopposed in the Democratic primary. Incumbent Democrat James Vacca was term-limited and could not seek a 4th term. Incumbent Democrat Ritchie Torres was unopposed in the Democratic primary. Incumbent Democrat Vanessa Gibson was unopposed in the Democratic primary. Incumbent Democrat Annabel Palma was term-limited and could not seek a third term. Incumbent Democrat Costa Constantinides was unopposed in the Democratic primary. Incumbent Democrat Julissa Ferreras declined to seek a third term. Incumbent Democrat Daniel Dromm was unopposed in the Democratic primary. Incumbent Democrat Jimmy Van Bramer was unopposed in the Democratic primary. Incumbent Democrat Ruben Wills was expelled from office August 10. The winner of the general election was sworn in early to complete Wills' term. Incumbent Democrat Karen Koslowitz was unopposed in the Democratic primary. Holden, though elected on Republican and generally Republican-affiliated ballot lines, is a registered Democrat and "still consider[s] himself a Democrat"
Incumbent Democrat Donovan Richards was unopposed in the Democratic primary. Incumbent Democrat Stephen Levin was unopposed in the Democratic primary. Incumbent Democrat Robert Cornegy was unopposed in the Democratic primary. Incumbent Democrat Rafael Espinal was unopposed in the Democratic primary. Incumbent Democrat Brad Lander was unopposed in the Democratic primary. Incumbent Democrat Darlene Mealy was term-limited and could not seek a 4th term. Incumbent Democrat Vincent Gentile was term-limited and could not seek a 4th term. Incumbent Democrat David G. Greenfield declined to seek another term. Incumbent Democrat Alan Maisel was unopposed in the Democratic primary. Incumbent Democrat Mark Treyger was unopposed in the Democratic primary. Incumbent Republican Steven Matteo was unopposed in the Republican primary. Incumbent Republican Joseph Borelli was unopposed in the Republican primary. ^ Goodman, J. David (November 16, 2017). "Democratic Incumbent Loses Council Seat in Queens After Bitter Race". The New York Times. This page was last edited on 15 April 2019, at 03:15 (UTC).